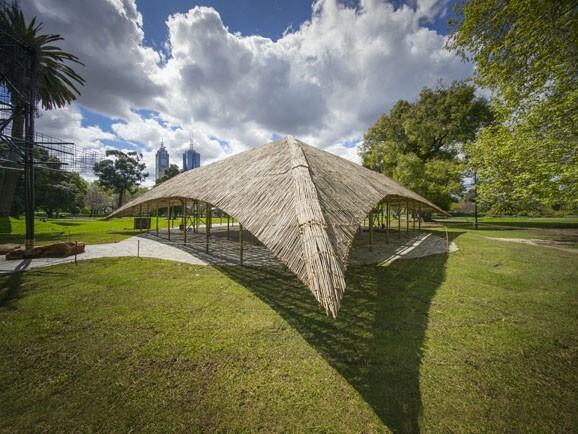 Mpavilion wraps up in a couple of weeks, but there’s still plenty to check out. The 2016 program at Melbourne’s Queen Victoria Gardens is presented free to the public until 18 February and features more than 400 public events with more than 300 collaborators, including 32 education and cultural organisations from Melbourne and around the world. Here are some of our favourite events happening at Mpavilion in February. Part 1 of the Mrealy series looks at the city as a place to nurture and, in turn, asks the question: how do we create a civic space that nurtures its inhabitants? The session will be hosted by Peter Maddison, director of Maddison Architects and host of acclaimed television series Grand Designs Australia. Leading Danish architect, urban designer and writer Jan Gehl will discuss his fundamental interest in planning cities for people and place. Rob Adams, director of city design and projects at the City of Melbourne, and Monica Barone, CEO at City of Sydney will place Gehl’s ideas in an Australian context. Among Buildings is an art book by photographer Tom Ross, architect Michael Roper and graphic designer Stuart Geddes reflecting on 26 examples of significant Melbourne architecture through photography and poetry. For this MTalks panel discussion, Ross, Roper and Geddes will be joined by their collaborators – poet and poetry editor Micaela Sahhar and architect/artist/poet and mentor to the project, Alex Selenitsch. This is a chance to get up close and hear from one of the world’s leading architects in conversation with Michael Williams, director of The Wheeler Centre for Books, Writing and Ideas. British architect Sir David Adjaye OBE’s work spans a great depth and breadth, most recently completing the National Museum of African American History and Culture and the Smithsonian Institute Museum in Washington D.C.